Want to get bay window prices online? This is your one-stop-shop for finding all the information you need to make the best decision for your home. 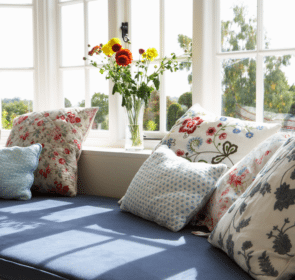 Find out the factors that influence the final price of your bay windows, and get quotes to determine your actual costs. 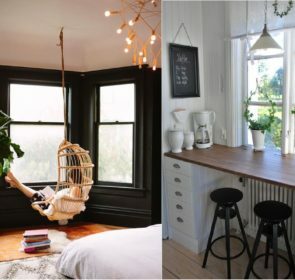 In order to give you an idea of what you might expect to pay for new bay windows, we have compiled data from across the industry here. You can see the average prices of bay windows in different finishes of uPVC. uPVC is the most common material bay windows come in – other ones such as wood and aluminium may be more difficult to find (since it is not in high demand) and is more costly. We also arranged the average prices according to the number of panels in the bay window since this also influences the price. Looking for bay window prices in the UK? The best way to get accurate prices is to request quotes from local window providers. Click here and get up to 4 quotes from window companies we have vetted to provide you with the best possible service. They will send you their quotes for free, and you can peruse them at your leisure. Our obligation-free process means you’re always satisfied. What factors into the final bay window prices? Bay windows can dramatically extend a room by simply creating a larger recessed opening to the exterior. If you choose to make structural changes to your home to accommodate a bay window, this will understandably cost more. 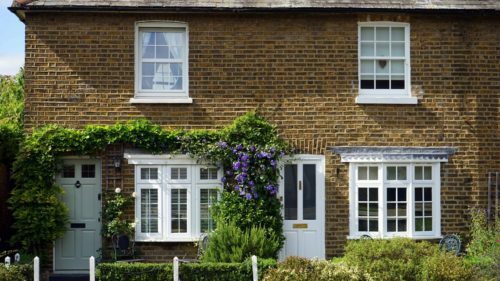 Bay windows that do not entail extending the space in your home are sometimes called box bay windows and will cost considerably less than their larger counterparts. 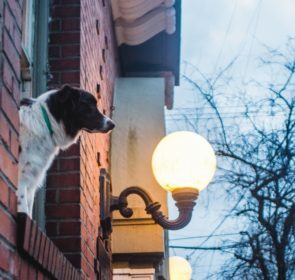 What do you want your new bay window for? Perhaps you’re dreaming of a cozy reading nook, a breakfast bar or simply a better natural light source for your back room. This will determine the size of your bay window, which will in turn influence the price you pay. The bigger the opening, the higher the price. One of the key features of bay windows is that they are made up of multiple panels. The number of panels usually ranges from 3 to 5, and the more panels you want, the higher the price of your bay windows will be. With 5 panels, you will benefit from more light than with 3 panels. However, if you choose to knock out your wall to create more space, a 3 paneled bay window may be a better choice – it is less expensive but gives you just as much space as with 5 panels. If you choose to have a bay window installed in an upstairs room – usually people want a bay window in the master bedroom – you will pay more for installation costs. In fact, installation costs can make up a large portion of the price you pay. This is because bay windows are tricky to make and to install. The easier the job is for the installer, the lower your final price could be. So getting a bay window put into your front room could be cheaper than the second floor at the rear of your home. Most bay windows are made of uPVC these days but you can also choose wooden or aluminium frames. These will cost more from the get-go, and wooden frames need maintaining yearly to prevent rot. If you want a classic look for a lower price, you can choose “woodgrain uPVC” which looks like wood from a distance but requires minimal maintenance. However, if you go for plain white uPVC you will get the lowest price for your new bay window. If you’re looking for custom bay window quotes, you’ve come to the right place. This is the best way not only to get the most accurate prices but also to save money on your home improvement project. 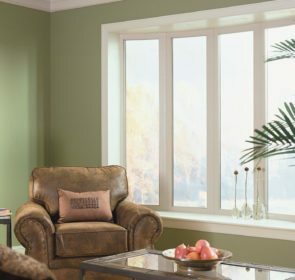 Get up to 4 quotes from local window companies, and you will save up to 40% on your new bay windows, as our other customers have. It only takes a minute, and you don’t have to choose any of the offers if you don’t like them.